Currently, Cawang Urban Village, Kramat Jati, East Jakarta, has five waste banks. According to the plan, it will become 13 waste banks by April.
" Currently, we are preparing to build more waste banks in other RWs"
Cawang Urban Village Head, Haerudin mentioned, those five waste banks are located at RW 06, 09, 10 and two others are at RW 11. "We only have five waste banks in four RWs. Currently, we are preparing to build more waste banks in other RWs because we target each RWs to have at least one waste bank by April," he stated, Monday (3/19). 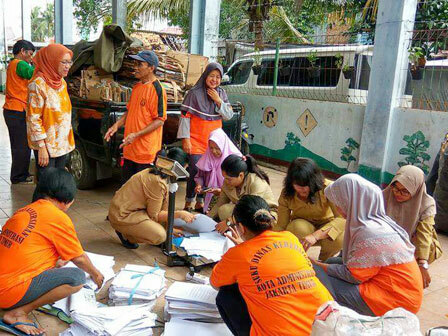 According to him, waste bank procurement is done to support Jakarta Provincial Government's plan to reduce waste volume that will be transported to Bantar Gebang TPST, Bekasi, West Java. Besides, through waste bank, people can earn some money from selling non-organic waste.